P4P's Into Africa Auction a Fantastic Success! Asante Sana! More than 200 Partnering for Progress supporters and friends helped raise a record-breaking gross sum of over $75,000 at the 11th Annual Into Africa Auction. 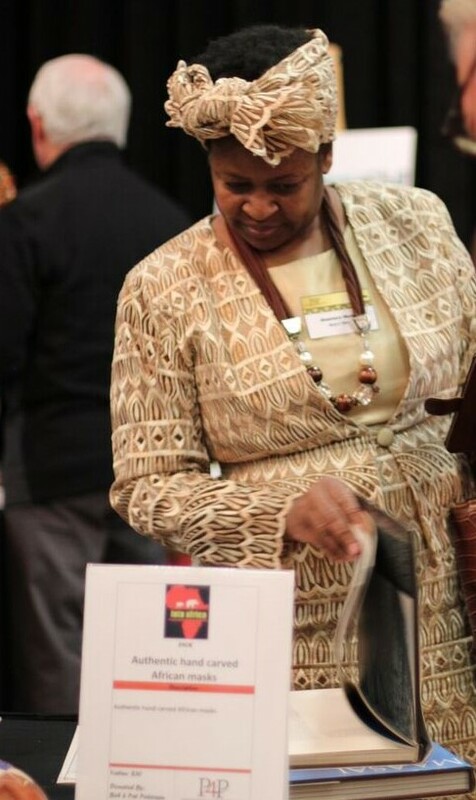 Attendees got to meet P4P's Kenya Program Coordinator Nereah Obura, enjoyed entertainment, educational displays, a lively auction and fabulous African food at the Mirabeau Park Hotel. 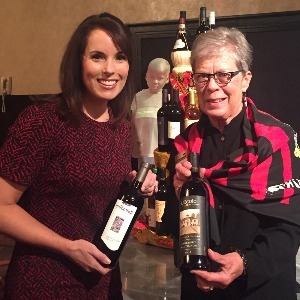 Many generous in-kind donations from around the area graced our auction tables. The highest bid in the live auction went to our African Safari. A stay at the Barn B & B Walla Walla fetched the highest bid in the silent auction. This year, 30 pieces of antique and contemporary African art created a bidding frenzy as the table closed and raised a total of $1,705. Bob and Pat Pedersen generously donated 21 of the items in memory of their son, Darin. We ended dinner on a sweet note with the Dessert Dash, where table captains collected bids for dessert items and dashers from the table flew to the dessert table to flag their prize. Our auction is not just about food, frivolity and winning bids, however. Committees set up educational tables and volunteers explained the focus of the committee’s work, providing concrete examples of how donations directly help communities in Kopanga/Giribe. The Health Committee used dolls to illustrate the difference in weight of an American baby compared to a malnourished child in Kenya and shared samples of a nutritional supplement. The Water Committee used an array of photographs taken in Kopanga/ Giribe that illustrated how we help communities and schools obtain clean water. The Education Committee shared photos of scholarship students and displayed Days for Girls feminine hygiene kits, which allow girls to continue to attend school during their monthly cycle. The Economic Development table displayed photos of our chicken and goat projects. 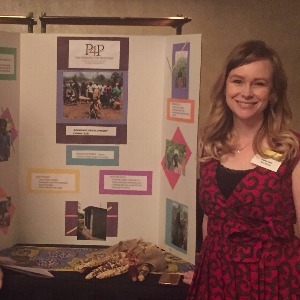 At the Africa Safari table, volunteers talked about the thrill of adding a safari to a P4P service trip. 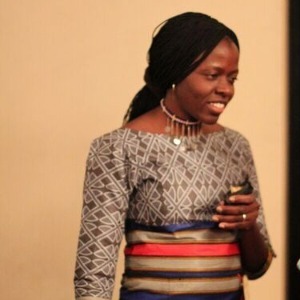 Our keynote speaker, Program Coordinator Nereah Obura, traveled 28 hours to attend the event. She shared photos and statistics about accomplishments to date, explaining the holistic approach P4P has adopted. Partner stories were shared along with gratitude for the support the audience has shown. Life-changing programs are in place; village-changing plans are coming with the income generating business, budgeted to begin in 2019. It Takes a Village to make a world of difference, a world away. Guests opened their hearts and gave generously, pledging $19,000 in support of P4P's health, water, education and economic development programs in Kenya. We have many people to thank for the success of this year’s auction. First, we want to thank and acknowledge our generous auction sponsors whose gifts ensured that every dollar raised will go toward supporting P4P programs. Congratulations to the hard-working Auction Committee led by Chair Pat Lynass and co-chaired by Patti Krafft. Committee members included Patti Aspinwall, Cathy Doerr, Annie Gokey, Kari Holman, Sandy Ivers, Karen Liere, and part-time P4P staff members Dia Maurer and Lee Fowler. 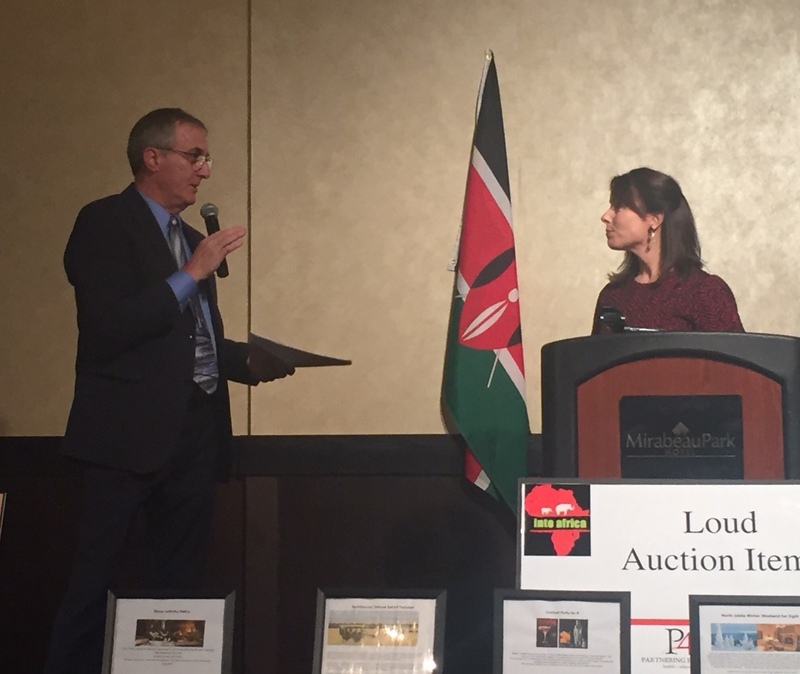 Auctioneer Jeff Owens urged attendees to “give deeply,” and KREM 2 Evening News anchor, Jane McCarthy gave her valuable time to emcee our program. A special thank you goes to EWU volunteers who helped behind the scenes. Board members and volunteers sold tickets, solicited sponsors and procured auction items. This truly is a group effort and the funds that are raised support an entire year of programs for 26 villages in Kenya. Our deep gratitude goes to the donors and volunteers who selflessly share their time, talent and treasure. Your donations send children to school, provide clean water, foster economic empowerment and save lives through our health care programs. Please consider sharing your time, talent, and treasure to help with next year's 12th Annual Into Africa Auction. Email info@partneringforprogress.org for more information about volunteering or donating items for next year's important event. Thank you! Sponsor support is the key to changing the lives of our partners in Kenya. 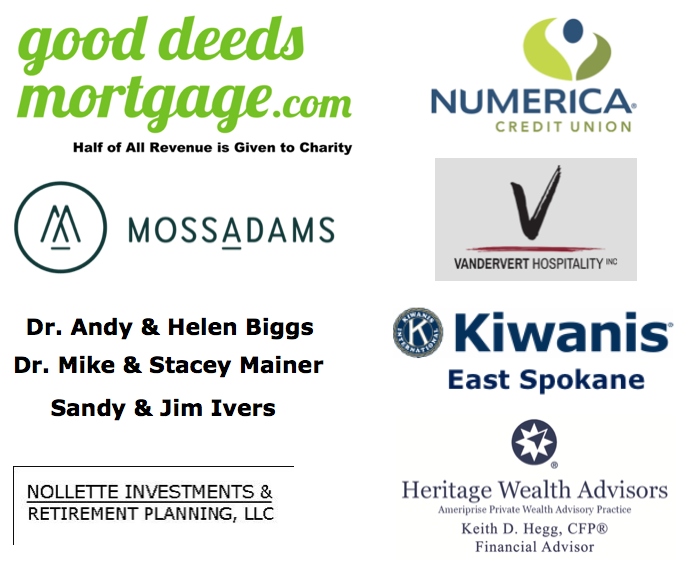 We thank our generous sponsors! Unable to attend P4P's Into Africa Auction this year? You can still be a part of our important fundraiser. Every dollar helps send children to school, provides clean water, fosters economic empowerment and saves lives through our health care programs. Your donation will make a world of difference, a world away. Click below to donate by Pay Pal or mail donation checks to: Partnering for Progress, P.O. Box 28191, Spokane, WA 99228 Call (509) 720-8408 to donate by credit card. Thank You!